Our inspiration began through using the sensors within the android phone. Nearly everyone carries around some of the most advanced technology in their pocket and by using technology that we all have, to better improve healthy lifestyles, environmental decisions benefits all of the users. 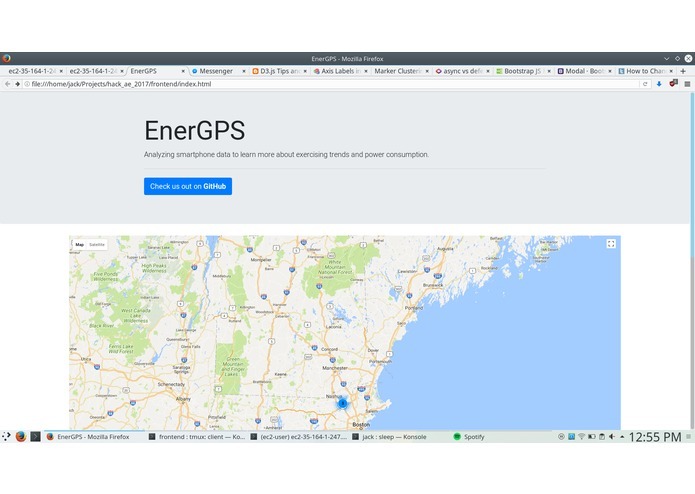 The EnerGPS collects background data of your GPS location and battery consumption. This enables an average of the surrounding area to be taken of battery consumption to determine if the average people are using their phones more than a certain group of another area. Additionally allows individuals to compare their personal usage to others’ consumption in the same area. 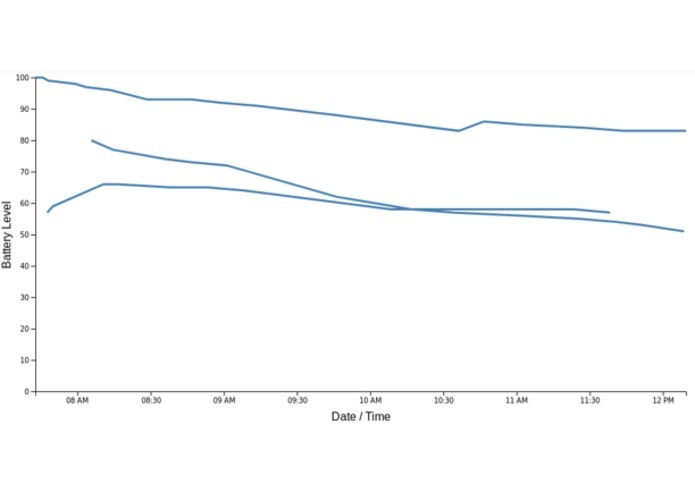 One set of the collected data through the background app presents per user battery consumption on the website in a graph of consumption of the battery by time of day. This can present the information showing the most energy used throughout the day by the operation consumer’s phone. Another piece of the collected data collects the GPS location of each user compares which uses the information to compare the energy consumption of one user to other users in the same area. However, you can also use this information to reflect the energy consumption in one area to another area of the country. This helps individuals reflect of their physical activity vs their phones usages through battery consumption. For public eyes, the data collected is presented on a map of the US to show battery consumption throughout the day. This information then displays the information to companies whether or not consumers are using their phone in one area more than others. A lot of time was invested in determining the best method to efficiently transfer data to the server while the app is in the background. There were also issues with accessing the web server on AWS. We never gave despite the numerous frustrating technical challenges. The team learned a lot about syncing data from an Android smartphone and creating a web server on AWS and the applications of the sensors found on the Android phones. In short, we learned how to make android apps, sync data, read android sensors, write the backend to handle and present the data. As the data collection of the population progresses, the culture of the power consumption can be averaged to the town for total energy consumption of cellular usage. The question then becomes, how does the power used by the town reflect the cellular energy consumed of users in the town?